Even the bible says givers never lack, summing up with the general saying that says ‘God blesses every cheerful giver’. 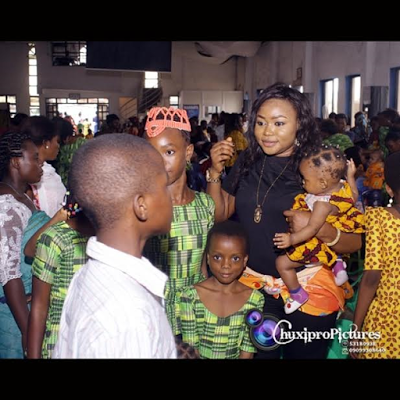 Nollywood actress Ruth Kadiri is known to be a philanthropist, someone who assist the less privileges the best way she can. On so many occasions, the actress who owns a foundation called Ruth Kadiri Foundation often takes to the street to share some relieve materials. This time around, Ruth decided to take her charity to the house of God. 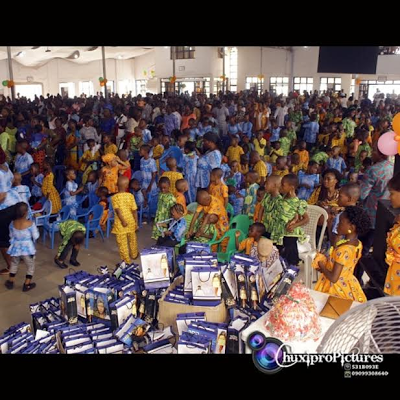 She shared back to school items to the children and she was also seen kneeing down while the pastor of the church prayed fervently for her. Good job Ruth, keep it up!